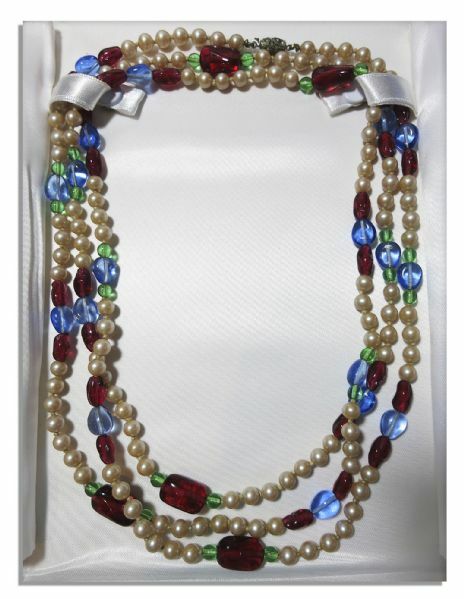 Wallis Simpson, Duchess of Windsor personally owned necklace. Jewelry, possibly faux, is a long string of pearls separated by colored glass beads in red, blue and green. Likely designed by Kenneth J. Lane, necklace features a metal clasp inlaid with sparkling stones. Measures 60'' in total length. A few missing stones to clasp, else near fine. 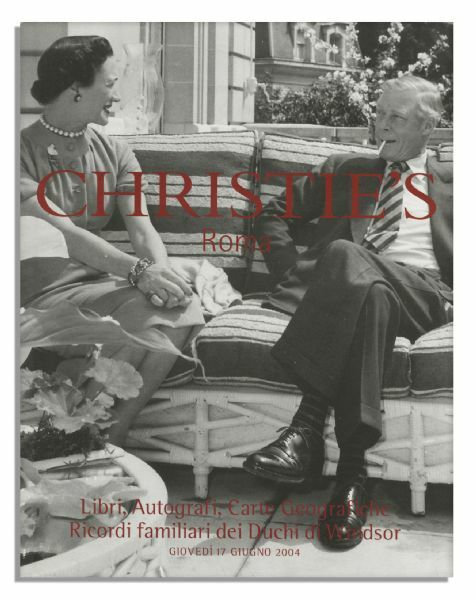 From the 2004 Christie's auction in Rome of the property the Duchess had gifted to her personal assistant, Ophelia Sanegre Belini. Auction closed on Thursday, September 26, 2013.